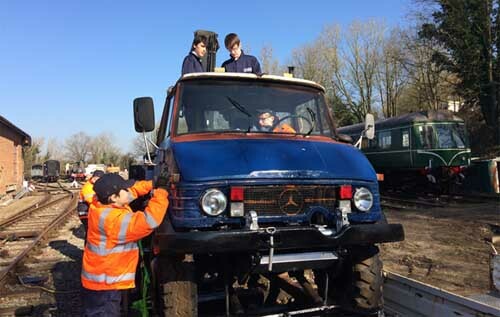 Eight students from Taverham High School have joined together with Whitwell & Reepham Station to restore a Mercedes-Benz Unimog 406. The pupils aged 13-14 years are on site at Whitwell Station on Wednesday mornings as part of the year-long project. The students are learning about the mechanical, electrical and hydraulic systems. Their tasks include rewiring the vehicle, cleaning and painting in new livery, greasing and lubricating all points, fixing rust points or replacing metal areas, learning how the Unimog can be driven and understanding the operation of the crane. Richard Bailey from Whitwell Station said: “It’s a great experience for the students. They have already learnt so much about how things work and we have received support from the head of trucks at Daimler’s head office in Germany, who is following the project with interest. The Unimog 406 is a vehicle of the Unimog-series by Mercedes-Benz. A total of 37,069 units were manufactured by Daimler-Benz in the Unimog plant in Gaggenau, Germany, from 1963 to 1989. 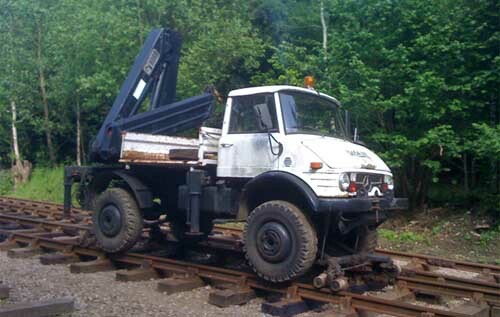 The Mercedes-Benz Unimog 406 before work started.